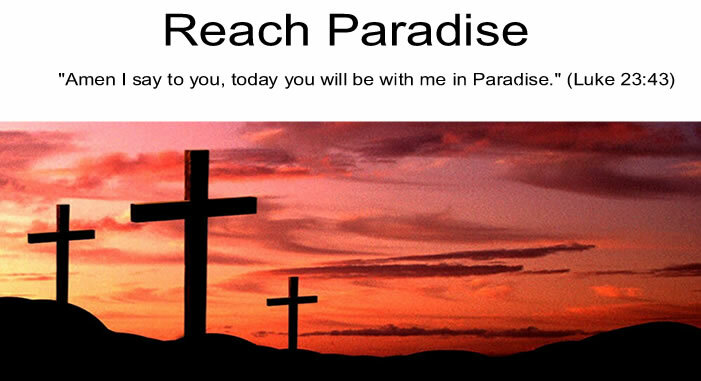 Reach Paradise: But What Table Should We Sit Him At? 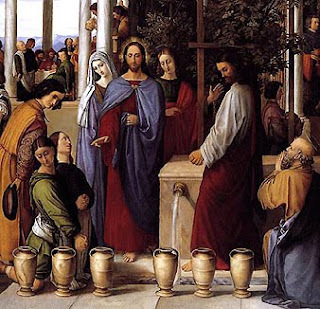 Ahhh ... the Wedding Feast at Cana. Easily one of my favorite passages in the New Testament. I've read it a hundred times, but today, God gave me a new perspective on it. I've always looked at this wonderful miracle through the eyes of two people - Our Savior's and Our Blessed Mother's. His first public miracle. Her confident direction. The significance of that hour never ceases to move me. Do you think they knew that God was their wedding guest? The answer, of course, is most likely no. After all, He had just started His public ministry. In fact, I bet the bridegroom, after being told about the "choice wine", went back to the celebration without much thought. Imagine how different things would have been had they known! The celebration that day would have been for His presence - not just for their union. He would have been at the head table, not the one to the side near the band. And they would have probably spent the night listening to His word, not dancing and drinking. As I pondered this, slightly depressed, I realized that I do the same thing every day. After all, He is present in every mass. He is present when people gather in His name. And He is present in all of us. And yet, I wonder how many times I've glanced over Him? Lord, please help me to realize Your Presence, to hear Your Word, to see Your Works, and to feel Your Love - today and every day. P.S. If you would like to read about the Wedding Feast from a guest's point of view, Karinann has a nice post here. Great post. Yes, everyday we are at a wedding feast, our own. God is in each of us and He loves us immensely. Yet, it is so easy for us to forget that all we have to do is to look into one another's eyes and we will find God there. I join you in prayer. Excellent point of view.The bridegroom of our soul is present at every Mass, as you say, and as I looked over the packed church today I wondered how many people thought of His Presence, and how one has to look at Him in the Eucharist through the eyes of faith. The little girl in front of me who was refusing to kneel during the consecration probably understood nothing about the Mass; would she give Jesus the reverence He is due if she could actually see Him? We are so much like the Cana couple, unconscious of the Holy Presence in our midst. I love the title and the question you pose: Did they realize that God was at their wedding? I also liked your point about how you might glance past His presence. I receive Him everyday at Mass and sometimes I have to wonder if I have prepared my heart and soul enough for this most favored and invited Guest. Thanks for a thought provoking post and for the link to my post. Saturday I was fortunate enough to attend a Magnificat prayer breakfast. The guest speaker was Sr. Briege Mckenna, mostly, she does retreats for priests. She spoke of the real presence of Christ in the Eucharist, mentioning that many people travel far and wide to healing ministers, yet few spend time before the tabernacle located within there own parishes. So, when I read your posting, I thought of her words. The bridge groom is always close at hand. Your post brought what Sr. had said to life again for me. I, too, join you in prayer. This is a favorite Gospel story of mine too! ☺ I almost wrote about it but now I'm glad I didn't; I like the perspective you have taken here and how it gets me to see an old familiar story with new eyes! God bless you for your gentle humility, simple prayer and touching reminder! What a great post Michael. I really enjoyed reading it. You always give us so much to think about. Thank you. Food for thought, Michael - thank you. True, do we really behave as if He, God, is right here beside us? Great post to remind us to be mindful that Jesus, Immanuel - God with us - is exactly that, with us all the time. I love to sit at His feet in prayer, and just be with Him, reflecting on His presence, on His love for me.